I ask at this time that I be prepared for a higher level of Consciousness. I ask at this time that I be prepared for initiation into the Higher Christ Consciousness. I ask at this time that I be prepared to receive my full quotient of Mahatma Energy. I ask that I be prepared to receive my maximum light quotient in every cell of my being. I wish to lay myself at the feet of the Buddha, to open my heart and receive all that there is. Please grant my wishes as I am now ready to receive the Mahatma Energy and my personal Ascension. I now call for a tube of cosmic light to protect me throughout this meditation, and in my life in general. This tube will protect me from all that is not of God, and the Christ Light. and on up through all the levels to God Him/Herself. This tube is your rainbow bridge. When you have linked up with God, bring this tube down through your seven Chakras. through your seven Chakras, send it down to the centre of the Earth. You are now connected from the centre of the Earth to God Him/Herself. Now let us attune to God. During this we shall chant seven OM’s. OM, OM, OM, OM, OM, OM, OM. and our tube of protection. This pillar of Light from God is the Mahatma Energy. Let this light fill your physical body, etheric body, emotional body, mental body and spiritual body. which takes in the 352 levels back to Godhead. I ask that it fills every cell in my physical body. Now let the energy bathe my entire being. I affirm I AM the Mahatma. Matrix, to allow a full and open radiation of my divine self to all that there is NOW. I affirm I am fully open and invite the Mahatma Energy into my entire energy matrix. I now call forth from God and the Godforce a series of golden balls of light. Let the ball of light enter my first Chakra. I affirm I am now fully open and activate my First Chakra. I now let the ball of light enter my Second Chakra. I affirm I am now fully open and activate my Second Chakra. I affirm I am now fully open and activate my Third Chakra. I now let the ball of light enter my Fourth Chakra. I affirm I am now fully open and activate my Fourth Chakra. I now let the ball of light enter my Fifth Chakra. I affirm I am now fully open and activate my Fifth Chakra. I now let the ball of light enter my Sixth Chakra. I affirm I am now fully open and activate my Sixth Chakra. I now let the ball of light enter my Seventh Chakra. I affirm I am now fully open and activate my Seventh Chakra. in accordance with the divine blueprint. I affirm I am now fully balanced and the Mahatma Energy is now flowing through me. I now call upon the silver violet flame of St Germain to bathe my entire being in the cleansing silver violet flame. Let the flame transmute my negative thoughts and feelings into the perception and purity of God’s love. I affirm I AM God’s Love. I now call forth the golden twelve rays to bathe my entire being with Christ Consciousness. Ascended Masters. I affirm that I AM Light. I now ask and command that the Godforce and the Mahatma come into my living light merkabah vehicle. merkabah vehicle is now activated with the Mahatma Energy. I am now ready for the Ascension Process to begin. and entire four body system if it has not already done so. I now call forth my glorified Lightbody to descend and enter my Consciousness and entire four body system. I now call for the Mahatma Energy to descend and enter my Consciousness and entire four body system. my Consciousness and entire four body system. to now become fully activated within me. I affirm I am fully activated. I now call for the full activation of the thirty strands of the DNA within my physical vehicle. I affirm they are fully activated. and to stop producing the death hormones. I affirm my Pituitary Gland is producing only life hormones. I now call and fully activate my Monadic Blueprint into my consciousness, sub-consciousness and super-consciousness and my entire four body system. I affirm my Monadic Blueprint is now fully activated. I now call for my Kundalini Energy to be raised as guided by my Monad and my I AM presence. 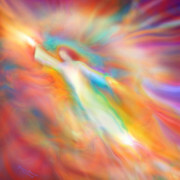 I affirm my Kundalini Energy is rising in accordance with divine will. I affirm I AM God. consciousness and four body system and with the meridians of the Earth. of the ageing and death processes. I affirm I am now youthing and becoming younger every day. that I may use them for God’s purpose and help all people on earth realise their Christ Selves. I affirm my third eye is fully activated I can channel now. I now call for radiant health to manifest within all my bodies. I ask and command that these bodies now manifest the health and perfection of Christ. I affirm that I am the perfection of Christ, NOW. Chakra resides in my Seventh or Crown Chakra. I affirm that my Sixteenth Chakra is in my Seventh Chakra. I now call forth my Fifteenth Chakra to descend, enter and reside in my Sixth Chakra or Third Eye. I affirm that my Fifteenth Chakra is in my Sixth Chakra. I now call forth my Fourteenth Chakra to descend, enter and reside in my Throat Chakra. I affirm my Fourteenth Chakra is in my Throat Chakra. I now call forth my Thirteenth Chakra to descend, enter and reside in my Heart Chakra. I affirm my Thirteenth Chakra is in my Heart Chakra. s. I affirm my Twelfth Chakra is in my Solar Plexus. I now call forth my Eleventh Chakra to descend, enter and reside in my Second Chakra. I affirm my Eleventh Chakra is in my Second Chakra. I now call forth my Tenth Chakra to descend, enter and reside in my Base Chakra. I affirm my Tenth Chakra is in my Base Chakra. descend down my legs and into the earth in a corresponding fashion. is now stabilised and anchored within my consciousness and four body system. and my First Chakra becoming a large ball of pearl white light. I affirm the Colour of my First Chakra is pearl white. My Second Chakra becomes a ball of pink orange light. I affirm my Second Chakra is pink orange light. My Third Chakra becomes a large ball of golden light. I affirm my Third Chakra is golden light. My Heart Chakra now lights up with a pink violet light. I affirm my Heart Chakra is pink violet light. My Fifth Chakra now lights with a deep blue violet light. I affirm my Fifth Chakra is deep blue violet light. My Third Eye now lights up with a huge ball of golden white light. I affirm my Third Eye is golden white light. affirm my Crown Chakra is violet white light. my other eleven soul extensions in my Ascension process. with my consciousness and my entire four body system. fully descend and integrate with my entire four body system. I affirm I am fully integrated. am grounding this energy for the healing of Mother Earth. I am the Resurrection and the Light. I am the mighty I AM presence on Earth forever more. I am the Ascended Master (here say your own name). I am God living in this body. forever more my real self. I am the open door that no one may shut. I am the divine perfection NOW. I am the revelation of God. I am the Cosmic flame of Victory. I am the Ascended Being I wish to be NOW. I am a full member of the White Brotherhood. I will age no more. I affirm that in this instant Holy Salvation has come to me. help others realise their own Christ Selves and become Mahatma. Islands on 14 May 1995.